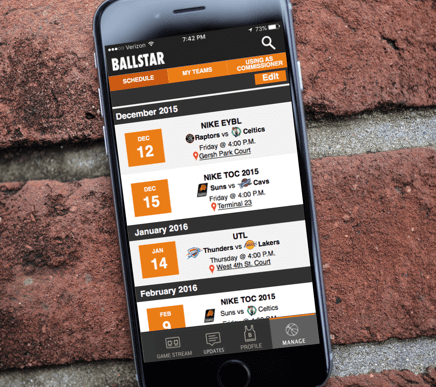 Ballstar is a suite of applications and services that is intended to organize the world’s basketball information and provide the global basketball community, from professional to amateur, a platform for the exchange of information. 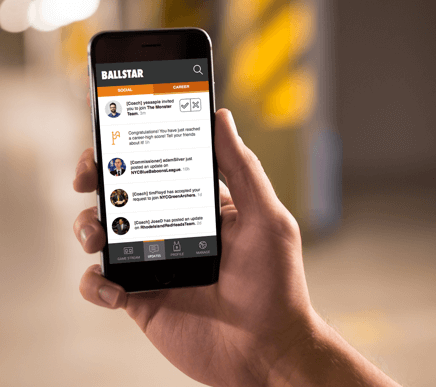 I worked within a team of three designers to design the final elements of the Ballstar mobile app. 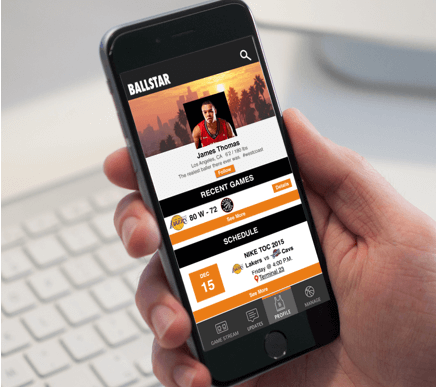 The app is IOS Native and contains a social stream/network that includes an expansive management system accommodating the perspective of players, coaches, and league commissioners. Our Process started off with information architecture, after which we sketched out low and high-fidelity sketches. After a round of usability testing, we refined our designs to their final version. Information Architecture played an important part in laying down the groundwork for this project. We started out by touching base with our client to get an idea of what features our app should include. As a potential “one-stop-shop for all things basketball”, the quantity and breadth of the feature requirements were varied and complex. An additional complication was the necessity of accounting for three different kinds of users: players, coaches, and league comissioners. Low Fidelity screens were sketched out on pen and paper. Post client feedback, the visuals (layout, placement of assets) were iterated on. High Fidelity screens were built with a combination of Sketch and Photoshop, then made into a Invision interactive prototype. As expected, the final app map is large and complex, accounting for the three different types of users— player, coach, and account commissioners. We conducted Usability Testing at a basketball tournament taking place in Canarsie, Brooklyn. We were able to test with our three different users who were all present at the tournament. We recorded the testing sessions and used the insights gleaned from them to further refine our designs. 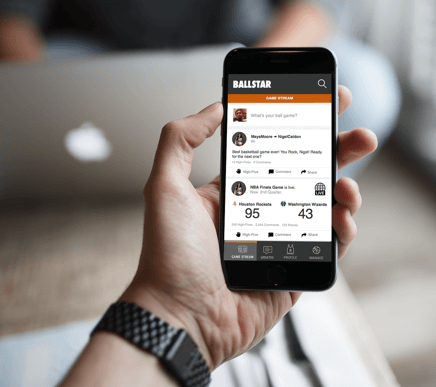 The Final Design boasts a robust set of features for your local basketball fanatic— among them include: a social media component, individual team and player profiles, notifications, and team management tools. This is a hub from which users can view updates from their other users they follow. Information about currently happening games and live scores can also be located here. Profiles are a place for individuals to display their basketball prowess through stats and awards. This is where the notifications generated from the Gamestream and social media profiles live. This feature is for the benefit of League Comissioners, who are in charge of the management and organization of teams and the leagues they make up.